BOONE, N.C.—International Christian relief organization Samaritan’s Purse and the Billy Graham Evangelistic Association have been recognized as Top 10 Charities Changing the World in 2016. As part of a special project by CNBC, the two North Carolina nonprofit organizations were recognized for their work “both at home and abroad, all while maintaining top-notch financial management and transparency standards.” Authors of the list used research from several charity watchdog groups, including Charity Navigator, to determine which organizations met such high criteria. Boone-based Samaritan’s Purse was recognized for its work helping victims of war, poverty, natural disasters, disease and famine. Among its many projects around the world, Samaritan’s Purse is currently helping refugees displaced by the fighting to liberate Mosul from the Islamic State. 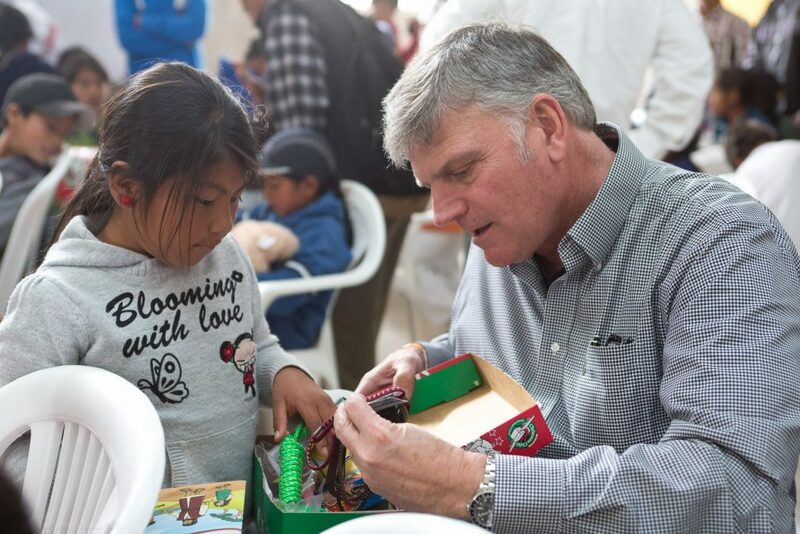 The organization’s Operation Christmas Child project is also currently preparing an estimated 12 million shoebox gifts to be delivered to children in some of the world’s poorest, hardest-to-reach communities. The Billy Graham Evangelistic Association, based in Charlotte, was formed in 1950 to bring the message of Jesus Christ to as many people as possible around the world. President and CEO of both organizations, Franklin Graham, recently concluded a three-day evangelistic festival in Yangon, Myanmar, that drew more than 170,000 people. In addition to evangelistic festivals, the ministry also offers aid via the Billy Graham Rapid Response Team—developed following 9/11—with crisis-trained chaplains providing emotional and spiritual support in communities living through tragedy. Most recently, the chaplains talked and prayed with people in Gatlinburg impacted by the recent wildfires.